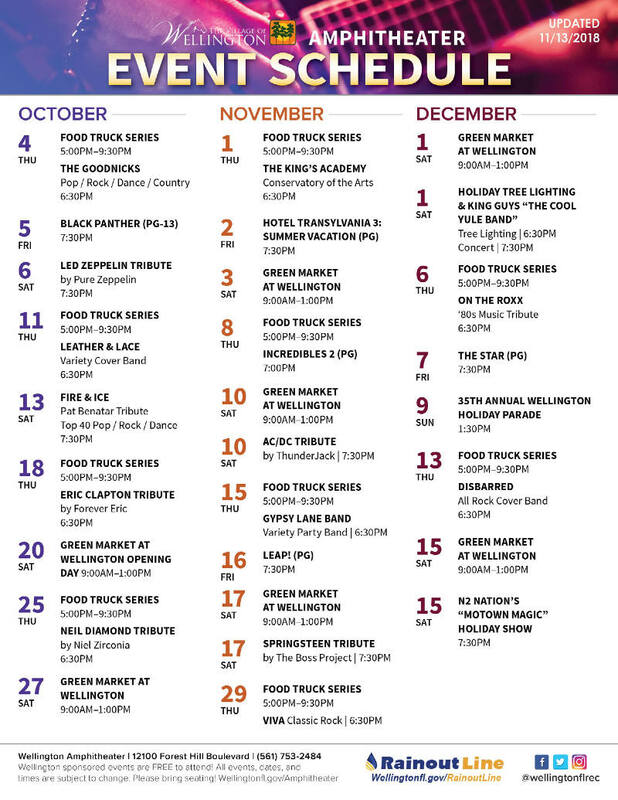 Every Thursday night between May and October, you can catch Food Truck Invasion organized trucks at the Wellington Amphitheater, located at 12100 Forest Hill Blvd in Wellington, FL (located near the old Publix, Scott’s Place playground and Town Center in Wellington, FL). Dine from more than 20 different food trucks expected to attend as well as a free concert by local bands. Food Trucks arrive around 5pm and stay till approximately 9:30pm. Most bands begin around 6:30pm and play for 2 hours with a break. Parking: Parking at the Wellington Amphitheater is a bit scarce and for most larger events, you’ll need to park at overflow parking further down the road at the Chancellor Corporate Center (signs are clearly posted for overflow parking). Do NOT park at Publix, your car will get booted! Lakeside Family Fun Night ?